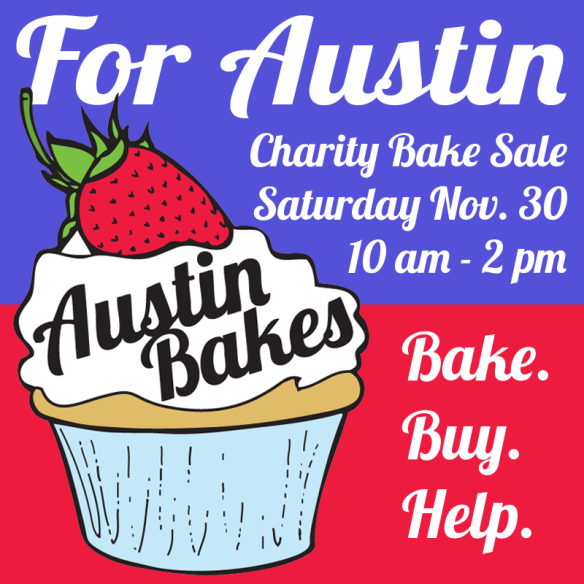 I’ll be joining the Austin Bakes army again to help raise money for Austinites that have been displaced by the Onion Creek floods. Stay tuned for announcements on locations and mark your calendar! We’ll be all over town on Saturday, November 30 from 10am-2pm. That’s the weekend after Thanksgiving.